REDUCED! In this premium location in South Asheville near the Asheville Regional Airport, shopping and dining, this split foyer home sits on a large, private 0.53-acre lot. 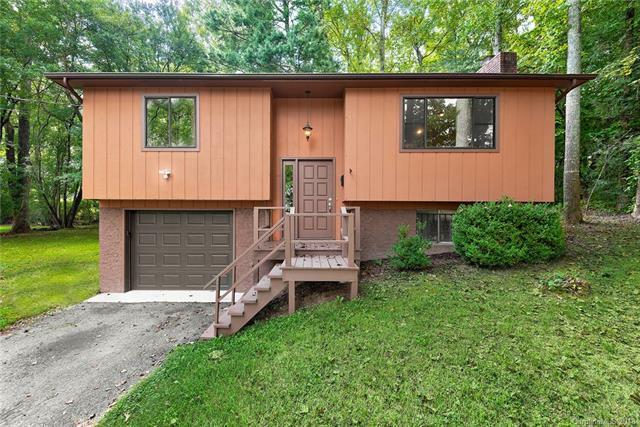 The recently renovated home features carpet throughout the upper level, a large wood-burning fireplace in the living room, two large bedrooms and two decks that are perfect for entertaining. The lower level features a full bathroom, a large potential bedroom or bonus room and an entry from the garage. Zoned Highway Business District, commercial uses are permitted.